Wearing a wetsuit hood helps to prevent discomfort or sunburn and helps to keep your head and ears nice and toasty. Our selection of different styles, thicknesses, and sizes work great for virtually any watersport including surfing, kayaking, SCUBA diving, wakeboarding, paddleboarding, waterskiing and more! Keep your ears and head protected from the cold and the sun by wearing a wetsuit hood. 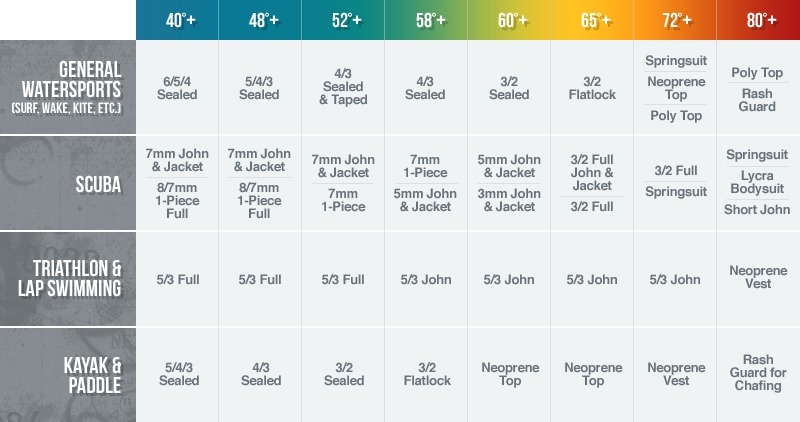 We offer neoprene hoods in different thicknesses and styles, so you'll be sure to find just what you're looking for! Wear wetsuit hoods for surfing, kayaking, SCUBA diving, wakeboarding, paddleboarding, waterskiing and more! View our entire selection of wetsuit hoods, boots, and gloves. To learn more about our wetsuit accessories and how to shop for them visit our Help & Advice section or speak to one of our experts at 866-906-SUIT (7848). With our wide variety of products, you can rest assured Wetsuit Wearhouse has all the watersport gear you need to extend your season for as long as possible.